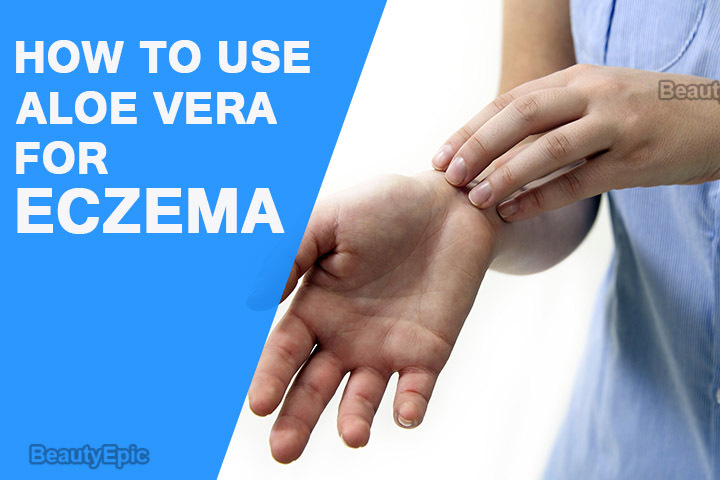 Eczema is the term used for the situation when the skin becomes red, itchy and inflamed. In terms of Greek, it also means boil over. Aloe Vera is a cactus-like plant with many herbal qualities. This plant is regarded as a plant with many benefits since centuries. 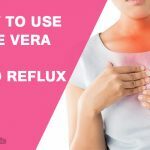 Aloe vera contains more than 75 nutrients, minerals and many herbal chemicals that prove to be a healing benefit for internal as well as external problems. It is a great asset for problems such as sunburn, rashes. People living in dry areas are more prone to eczema. Dryness, itching are some of the prone symptoms of eczema. 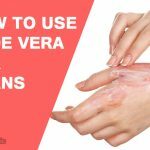 Let us read to know how to use aloe vera for eczema treatment. 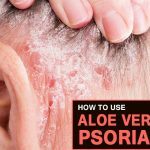 Does Aloe Vera Work for Eczema? Aloe vera hydrates the skin. The gel which is present in the aloe vera acts as a moisturizer in the burning or itching area which further provides relief itself. Aloe vera also in reducing infection. The problem of eczema proves to be full of disgust. This is often noticeable as small children often scratch the areas where they should apply ointment to the itchy area. Aloe vera also calms the itch. As already mentioned the gel of the aloe vera helps in calming the itch. We should apply a light part of the aloe vera gel at the affected area. Then we should try to cleanse the area by mixing aloe vera gel in a cotton section. When we apply the cotton, we are providing it great moisture rather than our fingers. Going through this process 3 to 5 times a day helps in feeling comfortable. About 9 – 30 % people suffer from Eczema. Eczema is a condition where one suffers from dryness, flaking, and itching of the skin. Many factors like climatic, stress, hormonal imbalance, allergens trigger it. In this condition, skin loses its ability to maintain moisture by producing oils. So, cracks develop in between the skin cells and they are easily occupied by bacteria. As of now, there is no completely effective cure for this disease but there are substances which can provide relief to a good level. Aloe vera and tea tree oil are some of those substances. Mix half a cup tea tree oil with 1 cup freshly extracted aloe vera gel. Aloe vera acts as a humectant, hence helps in holding moisture in the skin. Also, it has anti-inflammatory properties and helps in building immunity of the epithelial tissues. While tea tree has many valuable properties such as antiseptic, antimicrobial, anti-inflammatory, anti-oxidant etc. Repetitions: Repeat it once your twice every week. Preparation Time: 5-6 hours or overnight. Best time to Apply: Early morning. Tips: Use fresh aloe vera and avoid synthesized or packaged gel. Tired of those eczema scars and those skin irritations. You need to try something different. Ever thought of dealing it naturally? Think now. 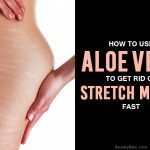 You can use aloe vera and some coconut oil to fight this dreaded condition. Here is how! After the mixture is completely whipped, refrigerate the mixture by placing it in a glass bowl for about half an hour. Take out your mixture and apply firmly to the affected areas. Leave it on the skin for 15-20 minutes. Coconut is known to have antibacterial and antifungal properties. Aloe vera, on the other hand, is anti-inflammatory in nature and is very effective in developing immunity against skin infections. It is a humectant which attracts water and helps in maintaining skin moisture. Repetitions: Apply it to at least three times a week. Preparation Time: 45 min to 1 hour. Tips: Your choice of oil should be such that should mix well with the mixture. Eczema affects the lives of many. People feel tired of this condition and the problem it causes in the daily life. To deal with it using natural resources would be really helpful and pocket-friendly. All you need is some aloe vera and turmeric in your kitchen. Turmeric reduces skin infection and inflammation. It is known to help in skin regeneration very quickly and it is this potential quality which makes it effective in eczema. It also slows down the growth of protein responsible for inflammation. Aloe vera, on the other hand, supplies moisture to the dry and degenerated skin and also gives it immunity against further bacterial growth. Best time to Apply: Before bathing. If you are allergic to lily plant family, you should not use aloe vera. Always do a patch test before applying to the whole area. Avoid commercial aloe vera gel as it has preservatives. Eczema is known to be affecting many people throughout the globe. It has a number of factors contributing to its growth. Some of them include hormonal imbalance, stress, climatic conditions etc. olive oil and aloe vera can help patients with eczema get rid of itching and inflammation. Now add few drops of olive oil and 1 tablespoon of aloe vera gel. Use the mixture on eczema affected regions. How it works: Oil relaxes the skin by penetrating deep below the skin and gives relief from itching and inflammation. It soothes and nourishes the skin. Aloe vera delivers moisture to the epithelial layer. Repetitions: Apply it 2 or 3 times a day. Preparation Time: Hardly takes 10 minutes to prepare. Best time to Apply: Before a shower, before going to bed. Use freshly extracted aloe vera. Avoid commercial form as it contains preservatives and chemicals which might not do well with the other ingredients you have added. See to it that you are not allergic to aloe vera. Do not rub your face, gently wash your face using cool water. Eczema is a common skin problem. Till date, there is no definite cure for it. There are a number of factors causing it. To be able to deal with it using nature’s help is pretty easy. Honey along with aloe vera are substances which can provide much-needed relief from itching in eczema. Start by mixing the ½ cup aloe vera taken out from the leaves and some honey in a bowl. Apply it to the affected regions. honey is a natural healer. It is known to soothe our taste buds as well as our skin. Application of honey on eczema affected skin provides relief from irritation and itching of the skin. Aloe vera provides a good base fluid and it keeps up the moisture level in the skin. Use organic honey to get better results. Use naturally extracted aloe vera rather than a commercial form of it. Do not use the green discharge from the leaves. Check beforehand if you have any allergy from honey or aloe vera. Therefore, a patch test is always recommended. Aloe Vera as a healing magic has been in use since ages and has an impact that is beyond imagination. 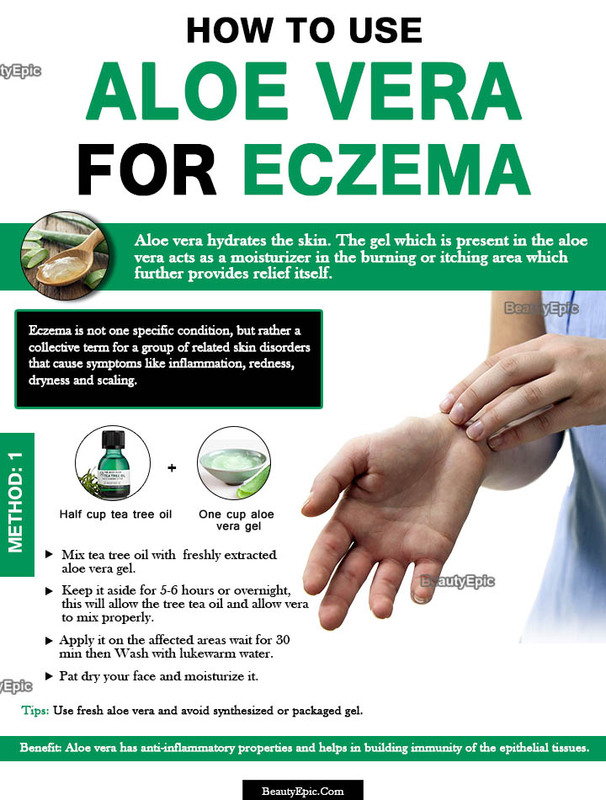 So far as the diseases are concerned, aloe vera is a cure for many, eczema is just one of them. Eczema is a kind of itching that, in some cases, leaves a long lasting effect. The basic issue with eczema is dryness, which requires an extreme level of hydration in order to get rid of. It is where aloe vera plays the critical part by nurturing skin elements with moisturizing effects of aloe vera. It’s healing properties unclogs the skin pores and penetrate the moisture to kill the free radicals in order to soothe the skin. Once moisture reaches to the affected areas, the enzymes do their job automatically and gradually eliminate eczema. Try one of the remedies shared by us and let us know your experience. Your insightful experience may help others too.